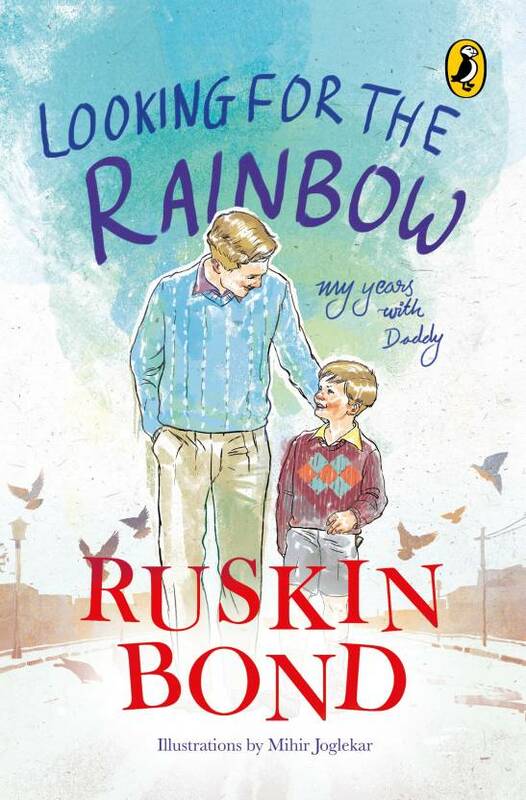 Being an avid reader of Ruskin Bond's books, I was looking forward to read his latest one - a glimpse from his life where he looks back and recounts his 2-year time with his father. In his usual, simple narrative style, "Looking for the rainbow" takes the reader on a journey in the early 1940s with the World War II backdrop where a 8-year old boy bonds with his father, makes new friendships and learns to become self-reliant. What I really loved about this book was the interesting narration about life during pre-independence era, the vivid description of the streets of Delhi and activities that a 8-year old used to engage in - playing with street kids, learning to fix his own breakfast, long walks to bookstores and movies, reading books from his father's library and helping him with his stamp collection. For young readers, the book has a few thought-provoking phrases about growing up and life in general. "We make our plans, but Life plays tricks on all of us. It has an agenda of its own"
"Time and circumstance spoil the best of plans but it's good to make them, for where there is a plan, there is a hope"
The beautiful illustrations by Mihir Joglekar deserves a special mention, as they carry forward the story with the right imagery. A heart-warming story in typical Ruskin Bond style of narration, "Looking for the rainbow" is a short, interesting time-travel on a Saturday afternoon.